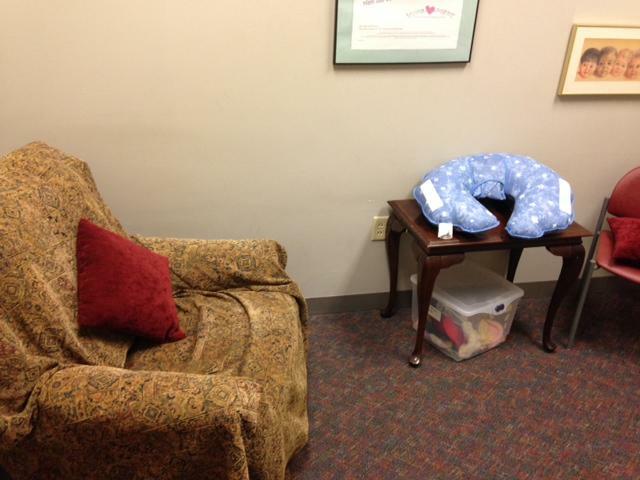 The Public Health Madison & Dane County has a separate lockable space with a comfortable chair, table and sink for moms to breastfeed and breastpump. There is a WIC clinic on Tuesdays and Thursdays so waiting room will be busy, but space is still open and available then. Otherwise, request a key from the receptionist.